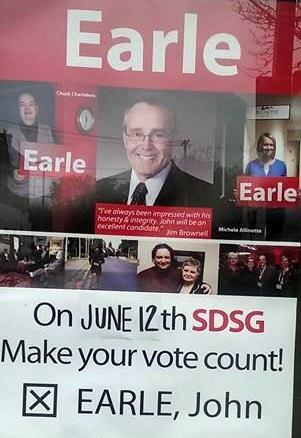 CORNWALL Ontario – SD&G failed Liberal candidate John Earle has opened a shop as his wifey, Alyssa Blais makes her first run for City Council. 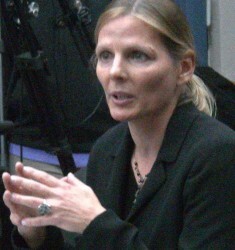 Ms Blais is the director of the Agape Centre. The biggest earner of revenue for Agape is it’s thrift shop. It’s also their largest expense for staff other than management according to the Agape Centre. This week the Agape had a presentation at Council where it decried the foul conditions and complained about mother’s changing their children on dirty cracked floor tiles and actually suggested conditions were sub code. Councilor Denis Thibault suggested that they complain to the Church whom they had purchased their building from rather than come to council for money and again Councilor Elaine MacDonald did not recuse herself; but actually stated she is on its board and then thumped away on behalf of the charity in open council. Mr. Earle has started a ……collectibles store a few blocks away in the former Love Love Foods shop behind Shorteez Hair salon which is of course the home to fellow Council candidate Rony Macarone (not real name). LLF moved into the former Dish Real Food location which was owned by fellow political parasite Keitha Fisher. The question asked of both Mr. Earle and Ms Blais was if any of the merchandise for sale in Mr. Earle’s new store was purchased from the Agape? Neither has responded to that question. Oddly enough one of the cities new business releases did not occur for the new biz. Under Ms Blais direction Agape has increased salary while decreasing services such as it’s snow suit fund. It has planted a nifty orchard though. What do you think Cornwall? You can post your comments below. Think I’ll hop over and see if my old coffee table and lamps have been rerouted — shades of petty larceny!! Isn’t ‘Love,Love,Food’ the work of The Great Cheese Smuggler, Admin? Yes Wow! You remember the Tony Lackroix Loves BJ’s story! Well I say!!! I do hope my fine collection of Royal Doulton with the hand-painted periwinkles that I so charitably donated to the Agape Centre do not end up at Sir John Earle’s new establishment. The proceeds from my collectables were supposed to go to those less fortunate. I shall have to invite him to one of my candle light suppers to get to the bottom of this matter.